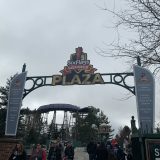 I drove up to the park this morning for an OFF Season meeting and one of the main reasons for this meeting was to talk about the new Membership Passes. 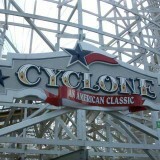 IF you all remember , we posted about looking for questions to ask the park, that everybody had. Before we move forward with all the answers, I want to thank Jennifer McGrath & Kyle Croegaert for taking time out of their busy schedules to sit down with me and answer the boatload of questions everybody had! 1. Will the member only gate open before the other normal gates? 2. Currently, the Gates open a Half an hour before the park opens, Will the memberships get in even earlier? 3. Does The Park plan to have team members checking for memberships vs season passes and directing guests to correct turnstiles? They will have employees outside the turnstile checking passes and directing people to the correct turnstiles. The membership passes will each be distinct and a different card stock then what they have used to create the season passes and also on the membership passes, it states which tier you are. 4. 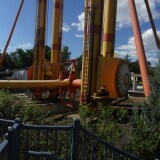 Will there be a separate entry line for Hurricane Harbor for Members? 5. For Diamond Only Seating in Hurricane Harbor, how do you plan on allowing members to reserve seating? They do not have a location yet, but they will let us know! 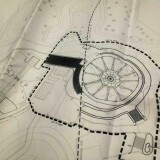 They also said the area they decide will be roped off, for members only! 6. What Happens when only 1 member of your group has Diamond and wants to sit in the water park area, can the other join? No, only the person with Diamond can go in there. The only exception to the rule is if you have a child that does not require a ticket/season pass, etc The benefits are only for that membership. 7. For Diamond and Diamond Elite, will the preferred parking actually be in the preferred lot adjacent to the park? 8. When you reserve your preferred parking the night before your visit, are you assigned a parking space #? No, Here is how the reservation system works. In the membership portal, you can reserve one date at a time. Once you have used that parking, then you can book another day to park. You can book that date as far out as you want, but only one at a time. If you do not go and use it, there is no fee, but will be penalized! You will be blocked for 30 days from booking a parking spot. You can cancel if you can not go that day up until 5 am that morning and when you book it , its reserved for the entire day, you can show up at 7 PM but as long as it is used that day you get a spot and not penalized.You are basically booking a spot for the day, there are no assigned parking spots, when you go you show them the parking voucher, either on your cell phone, email or print it out, it needs to be able to scan the bar on the voucher. 9. Does your membership allow you to use preferred parking at every Six Flags? 10. Is there a time limit on when to use the skip the line passes during the day? 11. How many people in your group can use the skip the line pass? Just the person with the benefit. Its one per person per membership, so if only you have it, only you can, if everybody has it, then everybody can use it. 12. 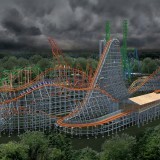 Will Superman & Wicked Cyclone be included in the Skip The Line Pass? 13. Will Skip The Line passes be available at every SF Park? 14. Can you use Skip The Line Passes to The Water Park? 15. With the Member Drink Bottle having a 20 Minute time limit, what is the difference between this and the All Season Drink Bottle that does not have a time limit? The 20 minute Drink time limit for the Exclusive Drink Bottles will be scanned every time you get a drink. 16. If your membership bottle is lost/stolen/damaged, you can replace it for a fee, can this be replaced at any SF park? Yes, it can and the fee is yet to be determined. 17. When you have your drink bottle replaced will it be replaced with the same bottle or the 99.cent refill bottle? 18. The membership guide states you will receive a discount off dining plans, season flash passes, season photo passes, etc. It later states that the discount only applies to membership dining and only when you first sign up for your membership. is it also true for the flash pass & Photo passes or can those be added on at any time for that same discount. You can add that anytime if need be. 19. 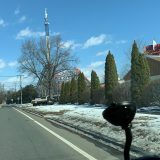 Can your discount be used to purchase season photo passes at other six flags parks? 20. Can discounts be used for locker rentals? 21. Can discounts be used for Stroller/ Wheelchair rentals? 23. When you buy multiple memberships at once example a group of friends, can payments be split? 24. If you bought your membership in a group, how can you change your payment info to the individual’s separate card? 25. Is it possible to have payment debited from a checking account using your bank routing # and account #? 26. What is the reason for the $20 deposit if you can’t cancel before 12 months of membership? After you have reached the 12 months, the deposit will be refunded, it’s a way to protect themselves with cancellation and the fees that go with it. After the 12 months, it shows that you are committed to the membership and you will be refunded and the $20 deposit is per membership as well! 27. Can you upgrade /downgrade your membership throughout the year? 28. How much notice does your system give to a customer that their payment did not go through? Will your membership be canceled for non – payment, or does the customer get charged a fee along with a double the following month? If a payment fails, the system tries 3 times in a week period, after the 3rd attempt the account gets deactivated and a $10 per membership fee for deactivation. You will, however, get emails every time sending out warnings to upgrade your payment information, so you will be notified because they realize credit cards do expire so they are giving you time to update your payment info before being deactivated. 29. If I have a Gold Season Pass and want to upgrade to a membership, how can I do so? On March 15th, you will be able to do so. 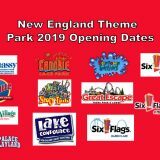 What is going to happen is, for the following 30 days, you will be refunded your Season Pass in Full value with Bugs Bunny bucks in a similar fashion like Lake Compounce with their in-park currency, then start the membership. After this 30 day grace period, your refund will be prorated based off of when you decide to upgrade! Bugs Bunny Bucks can be used for in Park Purchases such as retail, food, and games and can use your membership discount along with Bugs Bunny Bucks. The only downside is, they do not give change back when using Bugs Bunny Bucks so if the total was $15.45, you do not get change back. 30. With Diamond Elite Exclusives you get 1 Haunted Maze Wristband, will these be available for free at every SF park or home park only? 31. Can you upgrade for Express pass for a fee for the haunted attractions with Diamond Elite? Yes, you can use your 50% discount on the VIP to get it. 32. With Diamond Elite you get special seating at shows, what happens to the people who aren’t Elite Members? can they sit with you? 33. Is there a limit to the number of Diamond & Diamond Elite memberships that will be sold? If no, how do you plan to avoid going overcapacity in the preferred parking lot and to control the lines with so many more people having Skip the line passes and discounted flash passes? There is no limit, they also suggested to make it a point to make reservations for parking, those people will be parked first, but they said they want to make sure that people who have whichever benefits, get what they have paid for. They will do what they can if something cant be accommodated such for example as if the preferred lot is full, They will work something out, they want to make sure you get what you pay for! 34. 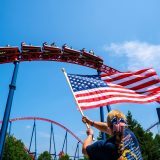 If someone goes to a six flags park during the 30 day grace period, will their pass still be able to switch to a membership at full value or prorated? After the 30 day period, folks will be able to upgrade to a membership. However, the volume of Bugs Bunny bucks they would receive would be prorated based on when it is completed. 35. Can anybody who has an Elite membership schedule preferred parking? Or is it the person who is the main person for the portal? Great question. Yes, anyone with an elite Membership can reserve parking. Just need the membership number and name once you login via the portal. If you still have a question that was not answered, please let me know and I will contact the park for the answer. The FAQ section on the park’s website has been updated as well! I hope this Helps everybody! Previous story SFNEOnline’s Grove Show Returns Feb 22nd at 8:30 PM !